Make sure the Select tool (the topmost tool in the Tool Palette window) is selected; if not, click on it to select it. 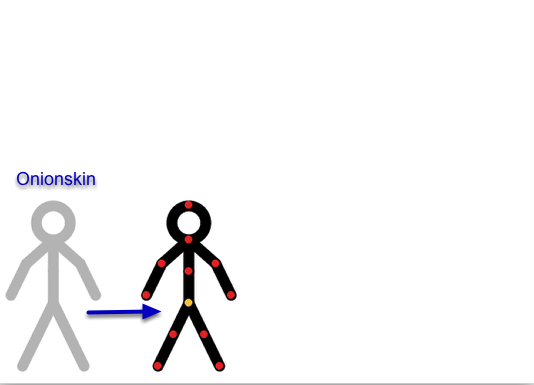 The figure on the Stage (the document window) has red and yellow circles and black lines. 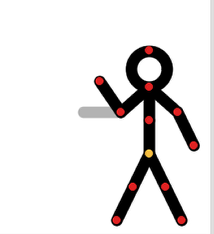 The circles are called nodes, and the lines and circles are called segments. The red nodes are used to rotate the attached segment(s) and are called pivot nodes. 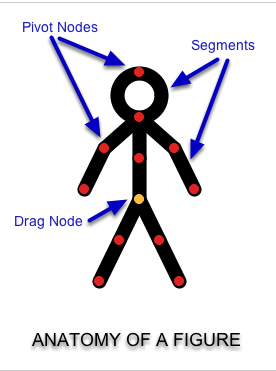 The yellow one is used to move the figure around the Stage and is called the drag node. 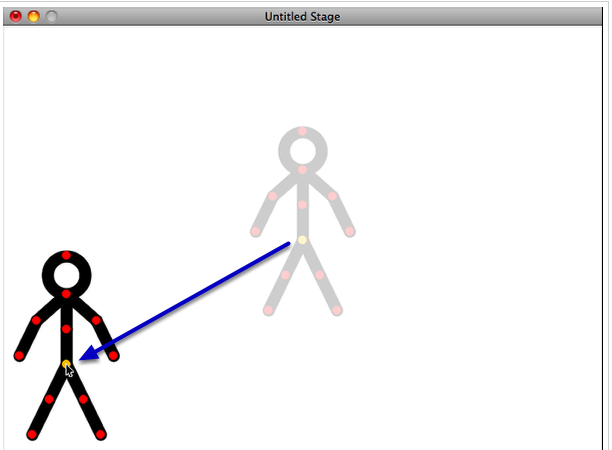 Click on the New Frame button in the Frames palette to create a new frame. 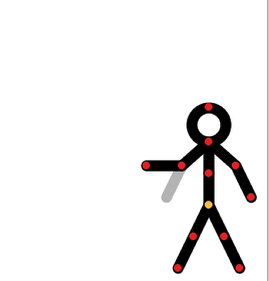 There's a lot more you can do with Stykz, but at least this gives you the basics to start animating!